The Winter Cactus cartridge from EVOLVD has been one of the standout cartridges of the year to me. We see many cartridges come through our doors and the Winter Cactus was one of my absolute favorites. It expresses itself with a unique high stemming from the large amount of THC-V found inside. The high is very much a sativa feeling, catching you right in the temple, leaving you spaced out and simultaneously energized, but notably, very little in the way of inspiring munchies. The THC-V acts as an appetite suppressant in the human body, meaning you don't end up with the munchies, or from a medical standpoint, a fantastic choice for anyone looking for help with overeating. 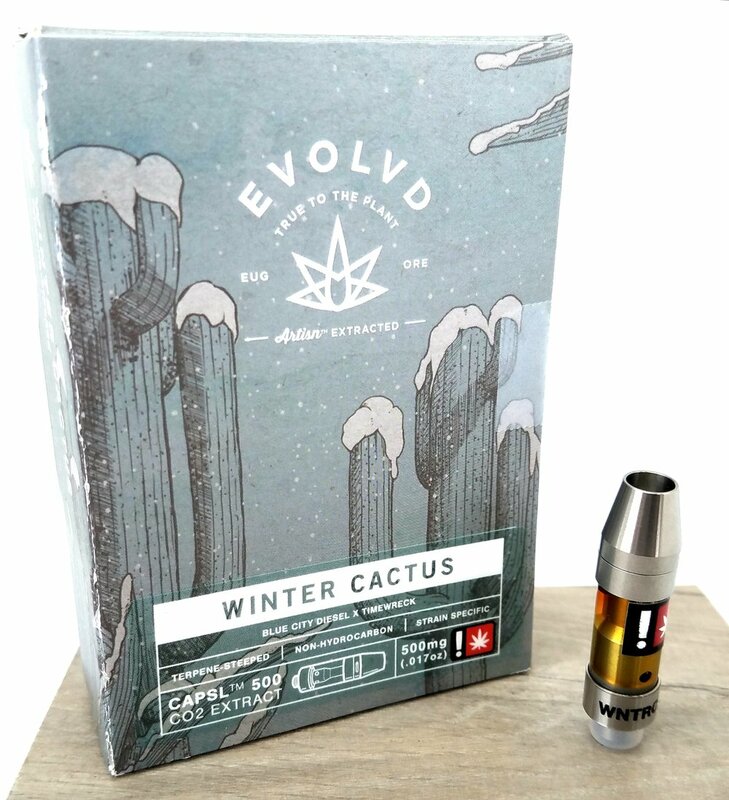 Coming from our friends at EVOLVD means any product will meet the quality needs of even the best cured connoisseur, with quality oil, taste, effects that lead the industry, you're sure to love the Winter Cactus! Want to read more reviews on EVOLVD cartridges? Click here! Or if you want to see the full list of reviews we've published click here!